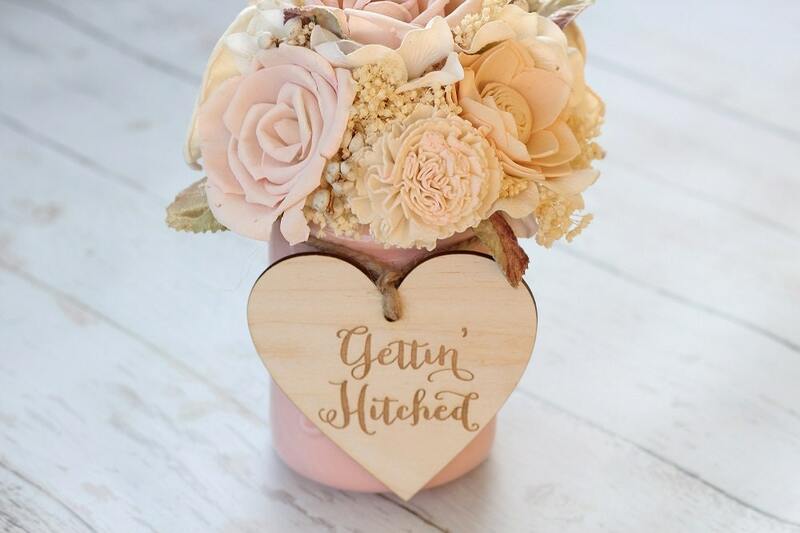 Simply tie this tag on your own jar to toss your change and bills into to save for that amazing Wedding.! 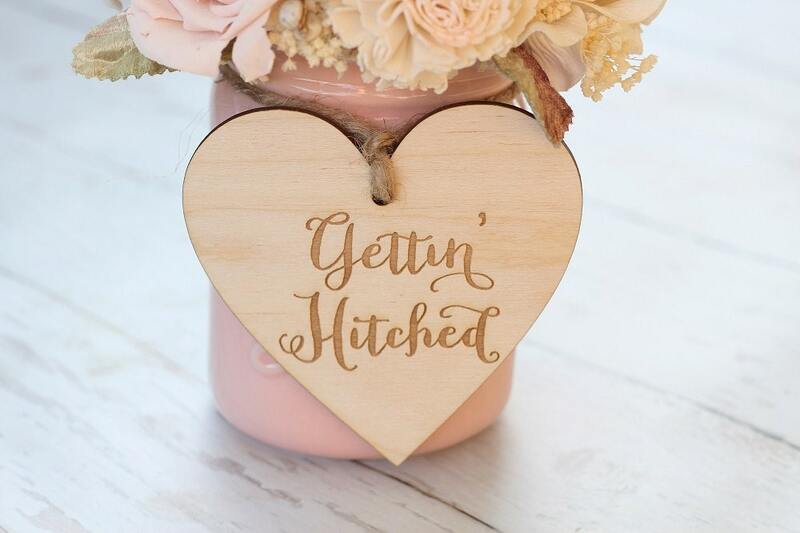 Our adorable tag is simple yet rustic and will go with just about any home decor style so you can proudly display your jar.! 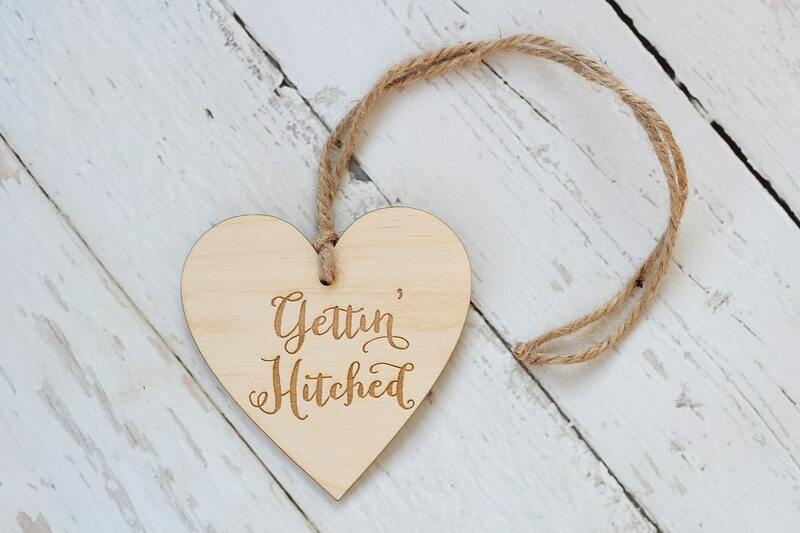 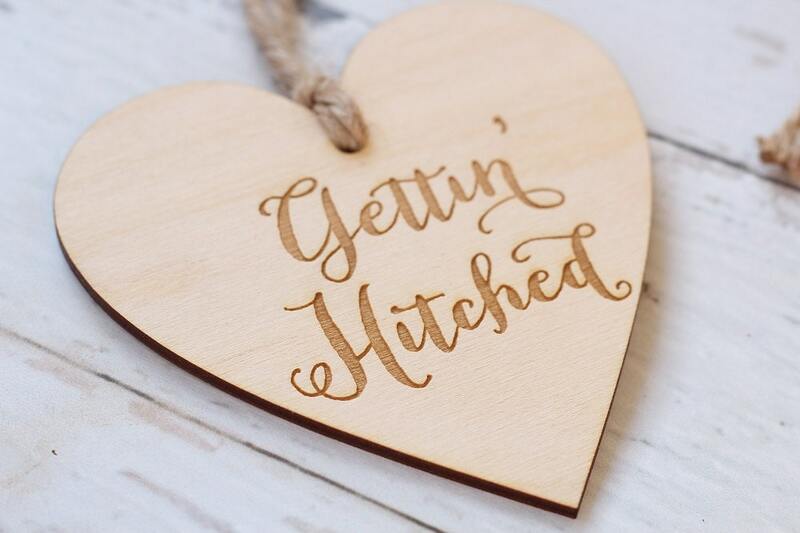 'Gettin' Hitched' tag is cut from 1/8" baltic birch featuring laser engraved text, adorned with a jute twine hanger.